Cosmetic bonding treatment can renew your smile. 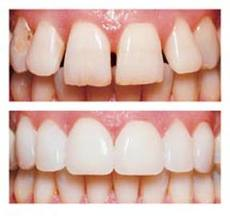 Cosmetic bonding treatment is a cosmetic dental treatment which has been long used to transform a patients smile. The cosmetic bonding treatment is specialised and involves a lot of the dentists artistic skill. The cosmetic dentist will mould the correct amount and colour of dental composite for the patients ’ teeth, the composite is an resin which is moulded to a patients teeth to replace metal fillings, reshape teeth , close gaps, and restore broken or chipped teeth. The main use of cosmetic bonding treatments is for composite white fillings, as the dental composite bonding material can match the shade, luminousness and texture of a patients own natural teeth. Silver fillings can be unsightly when a patient smiles, tooth coloured composite can replace old metal fillings. Cosmetic bonding is suited to smaller cavities in a patients teeth, as the material is not suitable for large areas. 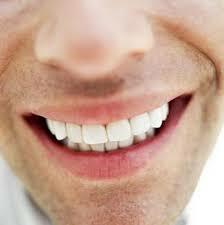 Composite bonding treatment requires the cosmetic dentist to numb the area in the patients mouth by local anaesthetic. a hygienic surface to bond to. The dentist will then choose a correct shade of composite, the tooth is shaped or contoured by the dentist. The composite is then applied to the roughened tooth surface and exposed to a special light source, which activates and hardens the composite to set. The composite can be applied to a patients tooth in several thin layers , around 1mm-2mm until the dentist has achieved the desired shape, translucency and texture. The dentist will then use their skill to polish the composite to achieve the desired shape and level finish. The cost of cosmetic bonding varies , depending on the location, experience of the cosmetic dentist and the materials they use. The cost will also be based upon the treatment a patient requires. Cosmetic dental treatment can be expensive in the UK and US , increasingly many choose to travel abroad for treatment. Goma dental and implant clinic is based in Shimla , India , and run by experienced cosmetic dentists. The clinic has a high treatment success rate, and all dentists and clinicians speak fluent English. Patients will be able to book a consultation with one of our cosmetic dentist in the UK, to discuss treatment options in detail, the cosmetic dentist you talk to will act as a first point of contact for you throughout your treatment duration abroad. Patients can talk to a representative at – 07974 – 106163.